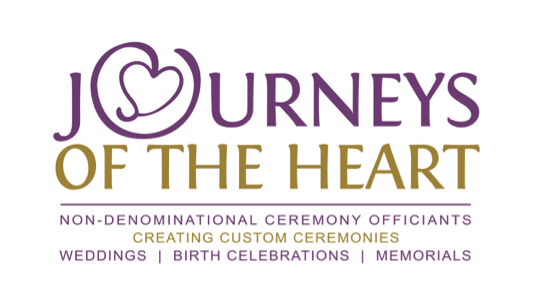 Welcome to the new Journeys of the Heart website! We have had a few changes around here in the past six months and are thrilled to tell you about them all. Our esteemed founder and director of 20 years, Marguerite Sexton, has retired but fortunately for her lucky couples, she is still happily officiating weddings upon request. Her pioneering, inclusive vision and welcoming enthusiasm for all people and all kinds of ceremonies have created the essence of Journeys of the Heart and its well-regarded reputation. After 10 years as an officiant and the past seven as Administrator, Diane Smith-Hoban (me!) has been entrusted with the next chapter of the Journeys of the Heart story. As the new Executive Director, these are big shoes to fill but I am up to the task supported by the hard work, good humor and calming wisdom of our new Administrator, Angie Lawn. We are growing too. Several new officiants have joined our group and we are so very lucky to have them.  Journeys of the Heart officiants are all such interesting, unique, warm, professional and genuine people – and this new group is no exception. Come and meet them! We have always been happy to officiate for NYC wedding ceremonies and the surrounding areas by request but we are expanding our reach with some wonderful folks up and around that way too. Stay tuned for more news about that in the coming months. And of course, we remain very proud of our well established and highly respected reputation as the region’s premiere non-denominational ceremony officiant service ministry. We are all over the Greater Philadelphia area, including all of New Jersey, Delaware and the Lehigh Valley – Lancaster and the Poconos, too. Essentially, we have gone and will go just about everywhere we are invited! These are exciting times for us here. We remain very thankful for all those wonderful couples and families we have connected and worked with over the past two decades. Thank you for entrusting us to share in your special moments – we are grateful for the honor. http://www.journeysoftheheart.org/wp-content/uploads/2015/05/Journey-Blog.png 306 533 wpjourneys http://www.journeysoftheheart.org/wp-content/uploads/2015/05/PNG_S-300x180.png wpjourneys2015-05-21 23:02:302015-05-21 23:08:02Welcome to our new website!